Utilizing smart blockchain technology, Lookrev has created a peer-to-peer decentralized marketplace for creative product makers. Using smart contracts as the infrastructure, it enables ordinary people to form distribution channels for their own custom products and to earn money. 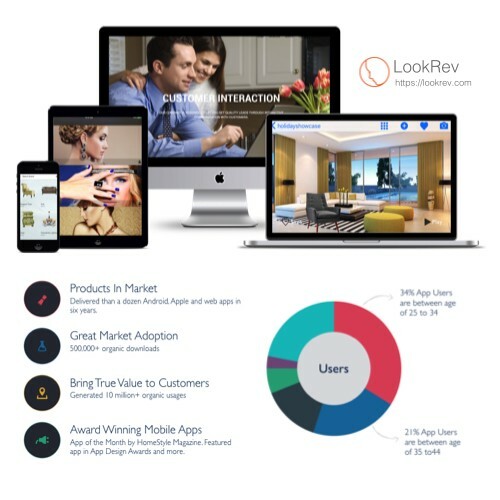 Unlike traditional affiliate programs where the seller waits to receive commissions, the Lookrev marketplace pays instantly via Cryptocurrency. All parties receive profits immediately. This marketplace enables ordinary people to form and join distribution chains for their own custom creative products and to earn money. It dynamically generates an ongoing smart contract based proof-of-work product distribution chain, creating a trustworthy, mutually beneficial chain of services for product creation, customization, and distribution. By offering product customization based on real-time market feedback, it accelerates the process of finding product/market fit, building the framework of sustainable chains of businesses for custom creative products makers, distributors, retailers, and affiliates.